Im soooooooooooo happy to be presenting you today Barbra, fom I Love Nail Polish !! !! Originally from San Francisco but I have currently been living in Las Vegas with my boyfriend and our two cats for the last 9 years! I opened my Etsy store on August 22 2012! I originally started a Facebook page sharing swatches that I found online that I thought were cute. I named the page I Love Nail Polish. After a while I started noticing more and more indie polish reviews on popular nail blogs and I thought it would be so fun to try to make my own nail polish. I read a little bit about the process and figured I’d just name the brand I Love Nail Polish. It works for me!! I have made 2 collections containing 6 polishes in each and an additional 15 individual polishes. This probably sounds lame, but I love them all! I am partial to “Goldie Boo…Boo!” and “Babes in Toyland” though. I felt like I knew they were going to be a hit. They felt good to me, so I knew they would feel good to everyone else! Were you a polish addict before starting making polishes? YES! 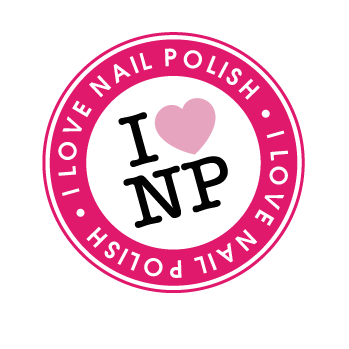 I love color and nail polish was just that – color! My addiction started with basic reds and pinks. OPI Charged Up Cherry was a big time favorite. Other favorites like China Glaze’s For Audrey, Re-Fresh Mint, Grape Pop, Lemon Fizz, and Secret Peri-Wink-le just kept the addiction going! I had a personal blog that I didn’t update much called “BartTart.” It was basically about fashion, food, and other randomness. Once I opened the store, I changed the name of my blog to I Love Nail Polish and plan to focus more on nail polish related things. The customers! To see how appreciative they are and to see them react exactly how I feel when I make each one, makes it all worth it! Nothing in particular, everyone has been awesome! I’m seriously in love with the indie polish community. The whole scene is just so supportive and it’s so awesome to be able to communicate with them 1 on 1 – even if it’s just through little notes on Etsy or a Facebook post. This.Polish.Is.Amazing (Go Buy It!! ). Okey,. now.. about the polish.. this is a glitter mixture in a clear base. Its a mixture of black & white hexagons, circles and bar with turquoise squares! I love it so much for its simplicity and yet originality! Its just stunning! This pictures have only ONE coat each of Fully Turqued over Purple Professional nr13. Dried super fast, glitter spreads evenly. Pictures without TC. Este verniz é um arraso! (vão compra-lo!! LOL). Okey.. agora sobre o verniz. 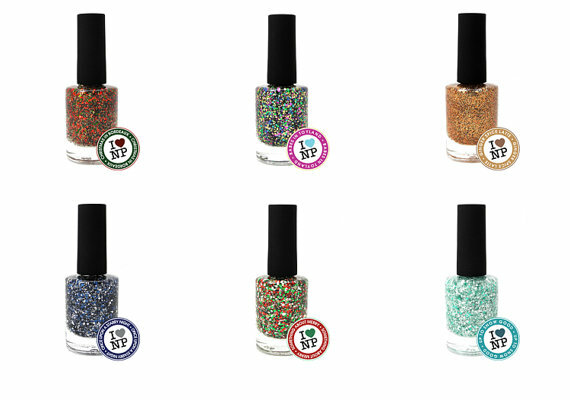 É um verniz glitter top coat, base transparente repleta de uma mistura de glitters brancos e pretos em barras, bolas e hexagonos complementada com um toque de quadradros turquesa. Sublime. Adorei-o pela simplicidade e elegancia numa mistura de glitters super original. Na foto apenas tenho uma camada de ILNP sobre o Purple Professional nr13 (mentol). Seagem bastante rápida, o glitter aplica-se uniformemente. Fotos sem top coat. Don't you love the label? LOL! One more gorgeous polish. This is a baby pink bomb! It is filled with white hexagons and bars, pink squares, small hexagons and pink micro glitter in a gorgeous clear base. Also a one coater over Purple Professional Black nr.18. Mais um lindissimo verniz. Este menino é uma bomba de glitter rosa clarinho. 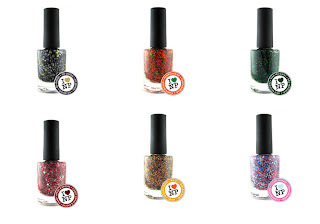 Um Glitter em base transparente, repleto de de hexagonos, barras, quadrados e micro glitters brancos e rosas. Mais uma vez, uma camada para este efeito. A aplicação é bastante simples e a formula bastante fácil de usar. Aplicado sobre o Purple Profissional nr.18. Omg Barbra You will kill us!! Okey this is almost like 50 shades of ocean.. *hmmm* ! In a clear base, this glitter top coat is filled with several shades of green, turquoise and blue giving it this perfect ocean like effect. I was in awe. Two coats for this outcome. Spreads very evenly. Dries fast.Applied over Purple Professional nr. 13. Este menino é de morte! Quem adora verdes (hehehe) vai ficar louco! A primeira impressão que tive dele é que seria as 50 'sombras' de um oceano. O verniz é composto por imensos glitters pequenos e medios em tons de azul, verde e turquesa sobre uma base transparente. Lindissimo. Duas camadas de glitter para este resultado. Aplicação simples, secagem rápida. Aplicado sobre o purple profissional nr.13. So.. about babes.. I was wondering if I would like to see it over a dark or pastel color. I started with this wine red (273 Raspberry - Barry M). I must confess I was a bit displeased with the mixture I made.. so I went for Mollon Pro 116 (baby blue/mint). I absolutely loved the combo! Two coats of glitter over the base color.They spread very evenly. What is your favorite? Este glitter intrigou-me.. não sabia se o haveria de experimentar sobre claro ou escuro.. ou uma cor paste. Experimentei sobre o Barry M. 273 Raspberry e confessei que não fiquei muito feliz com o resultado. Acabei por experimentar o Mollon Pro 116, azul bebé/menta e fiquei apaixonada pela combinação. Comcordam comigo ou preferem sobre escuro? Duas camadas de glitter. Espalha-se bastante bem e seca relativamente rápido. This is really really sweet! This is a purple and pink glitter mixture of small squares, shreds, bars and circular glitter. 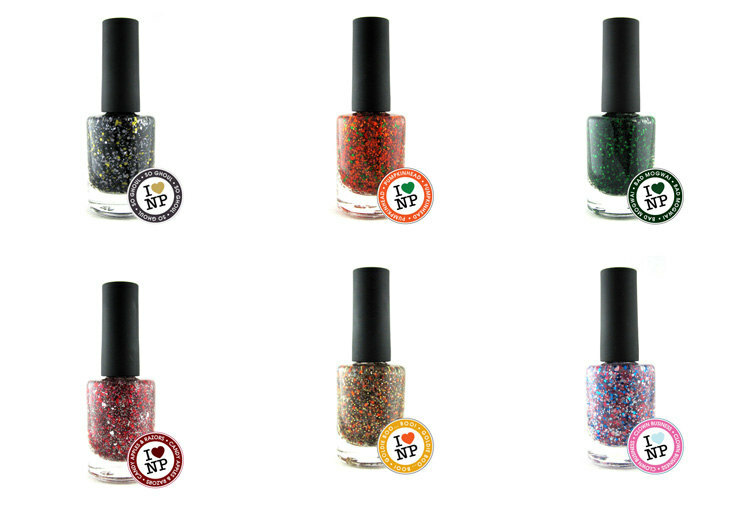 It is not too pigmented so you can have a light effect on your nails even with this variety of shapes. I tested it over purple professional pink nr3. Este menino é mesmo mesmo adorável. É uma mistura de glitter roxo e rosa em vários formatos ('estilhaço', quadrados, mini barras e bolas). Não é demasiado pigmentado o que permite um resultado amoroso e leve. Adorei o resultado sobre o Purple Professional nr.3. Essence Snow White 04 Happy. Oh My!! I loved this combo! Looked like skies and galaxies! The glitter is once again a clear base filled with blue, silver and holographic glitters in several shades and sizes. The outcome is astonishing. Layered two coats of Matthew over Purple Professional dark blue nr-12. Céus!! Por ultimo mostro-vos mais um lindão!Este verniz lembrou-me imediatamente galaxias ! Um top coat glitter, base transparente, repleto de glitters azuls, prateadose holograficos em vários tamanhose formas. Adoreio resultado sobre o Purple Professional nr.12. Duas camadasdo Matther. Aplicação simples, bom tempo de secagem. Omg Barbra I like you so much! When we first talked we chatted for a while about our names Bárbara and Barbra ( B&B :p) the conversation was amazing and so easy! This girl is amazing, talented and gorgeous! You MUST check out all her creations! 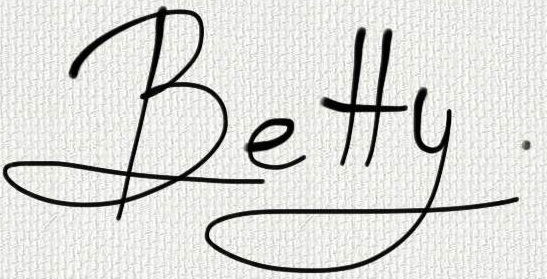 I give you my word you wont regret! Para as meninas que não conheciam a marca I Love Nail Polish... vocês têm mesmo que ir cuscar as criações da Barbra! Por ter um nome tão semelhante ao meu, a primeira vez que conversamos a conversa foi parar aos nossos nomes!A Barbra é super simpatica, atenciosa, muito criativa e muito bonita! :D Não deixem de ir visitar as páginas dela para conhecrem todos os vernizes! Garanto que não se vão arrepender! 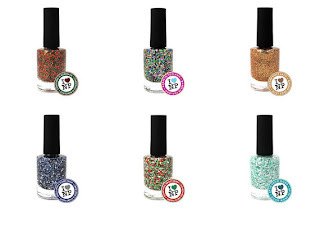 "*I* I Love Nail Polish [Indie Guide Project]". I do have a couple of questions for you if you don't mind. Is it only me or does it appear like a few of the remarks appear like they are left by brain dead visitors? :-P And, if you are posting at other online sites, I would like to keep up with anything fresh you have to post. Could you make a list of the complete urls of all your social networking pages like your linkedin profile, Facebook page or twitter feed?